Sixty students of grades 5 and 6 attended the Guyana Energy Agency’s (GEA) ‘Express Your Energy’ activity which was held on November 2nd, 2018 in the auditorium of the Cotton Field Secondary School, Region 2. Representing six primary schools that were selected by the Regional Educational Office, a release from the GEA said that the students hailed from 8th of May Primary, Sparta Primary, CV Nunes Primary, Taymouth Manor Primary, Queenstown Primary and Suddie Primary. 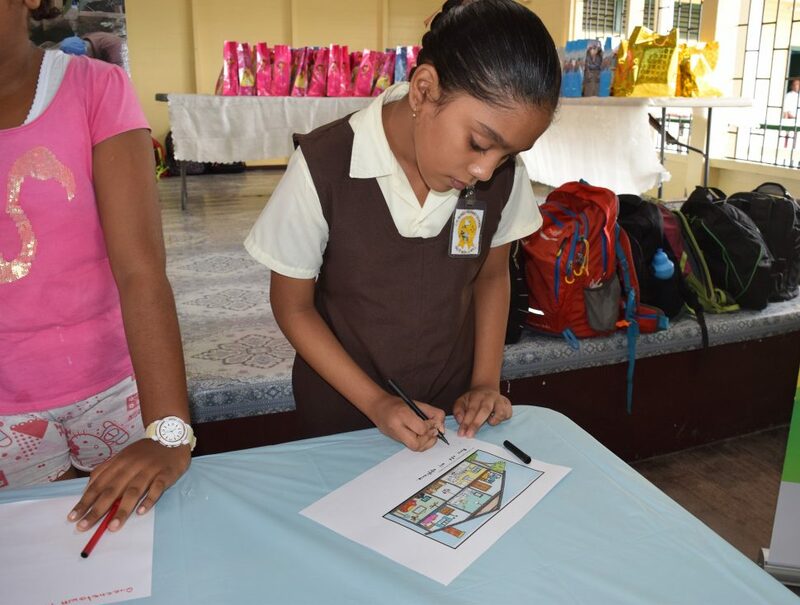 The event conveyed the pupils’ interpretation and knowledge of energy sources, sustainability, energy conservation and energy efficiency through artwork/pictorial illustrations, word search and conservation tips . From its conception in 2012, the activity has targeted primary school students and was hosted this year by the GEA, in collaboration with the Hinterland Electrification Company (HECI) through the IDB- funded Public Awareness Project -” Promoting the Benefits of Renewable Energy Technologies and the Rational Use of Energy”. Shondelle Hercules, District Education Officer Primary, who gave remarks on behalf the Regional Education Officer Ag. Nicola Matthews, expressed thanks to GEA and for hosting the activity in Region 2. She said that “Our Office appreciates this timely initiative which was educational and presented in a fun format which both students and teachers enjoyed…The activities that were done can be integrated into our school’s curriculum….”. The release said that the activity was a non-competitive one therefore students were not judged or ranked based on their illustrations. Rather, each student (and teacher) was awarded tokens of appreciation as an honorary ‘Energy Champion’. The main aim of ‘Express your Energy’ event is to tap into the creativity of future energy champions, children, by allowing them to express their views and perspectives on energy related matters in a non-competitive environment, the GEA said.